Israeli nonprofit SpaceIL and Israel Aerospace Industries first lunar spacecraft began a historic journey to the moon when it was transported in a cargo plane from Ben Gurion Airport to Orlando, Florida, ahead of launching from SpaceX Launch Complex 40 (SLC-40) at Cape Canaveral Air Force Station next month. SpaceIL’s spacecraft is expected to launch from SpaceX Launch Complex 40 (SLC-40) at Cape Canaveral Air Force Station in Florida next month. SpaceIL and IAI recently packed the 180-kilogram spacecraft into a special temperature-controlled, sterile shipping container, built to protect the spacecraft and ensure it arrives safely at the launch site. After landing at Orlando International Airport, the spacecraft – named Beresheet (the Hebrew word for in the beginning) – will then be driven to Cape Canaveral Air Force Station, where it will be added as a secondary payload by launch service provider Spaceflight. It will be launched on a SpaceX Falcon 9 rocket together with a geostationary communications satellite built by SSL. The launch is targeted for no earlier than mid-February. In addition to the container holding Beresheet, two more containers will be included in the cargo plane, which itself is temperature controlled. SpaceIL and IAI engineers will accompany the spacecraft on the flight to Florida, and more engineers will join them in Cape Canaveral. Beresheet will undergo final tests before being launched by a SpaceX Falcon 9 rocket. 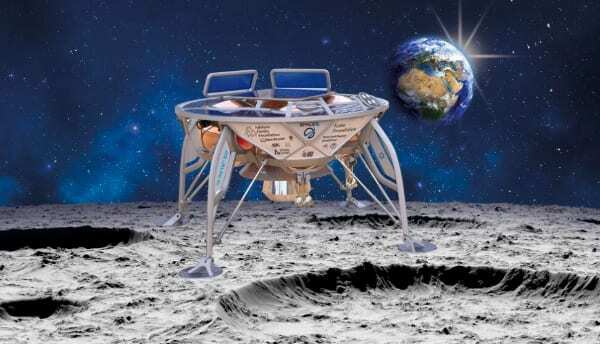 Upon completing its lunar mission – the first in Israel’s history and the first that’s privately funded – Israel would join superpowers China, Russia and the United States in landing a spacecraft on the moon. Since the establishment of SpaceIL, the task of landing an Israeli spacecraft on the moon has become a national project, with educational impact, funded mainly by Morris Kahn, a philanthropist and businessman who took the lead in completing the mission, serving as SpaceIL’s president and financing $40 million. Additional donors include Dr Miriam and Sheldon Adelson – whose $24 million contributions enabled the project to continue – and Lynn Schusterman, Steven and Nancy Grand, Sylvan Adams, Sami Sagol and others.